Pkg. 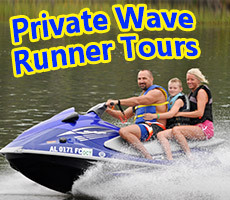 “ C ” 2 Hr Gulf Shores Family Dolphin Safari With 2 Free Jet Skis ! Pkg. “ A ” Island Time Discovery Adventure or Sunset Stroll ! Pkg. “ B ” 2 Hr Birthday Dolphin Tubin’ Kayak Combo ! Pkg. 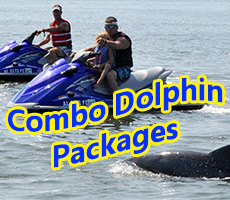 “ C ” 2 Hr Play Combo Package W/Jet Skis ! Pkg. “ D ” 6 Hr Special Event “Power Tan” Island Pkg. ! Pkg “ E ” Pirate’s Cove Cheeseburgers Dolphin Play Adventure ! Pkg. “ F ” 1.5 Hrs – Private Couples Sunset Dolphin Special Event Cruise ! Pkg “ G ” 3 Hr Dolphin Safari Birthday Celebration ! Pkg. “ H ” Dinner, Dolphins, Dessert Sunset Cruise ! 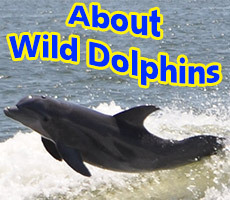 “2018” Barefoot Private Family Dolphin Excursions & Boating Pkgs For Special Events – Birthday – Anniversary or Honey moon ! Over 400 Facebook Likes and Trip Advisor 5 “Star” Reviews below ! Call (251) 237-3499 to Book Today!